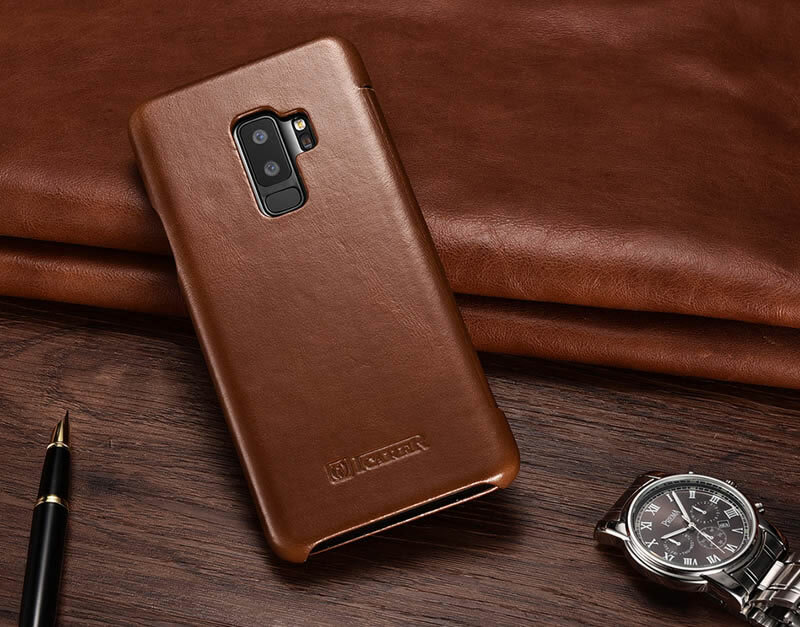 Free Shipping, Buy Original iCarer Samsung Galaxy S9 Plus Curved Edge Vintage Genuine Leather Case at Casemecase.com. 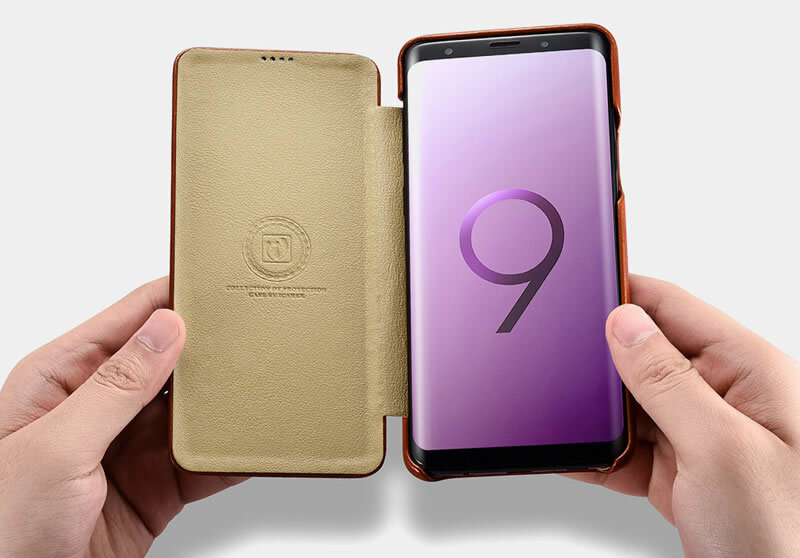 The flip cover of curve edge design can protect effectively screen from being smashed and offer 360 degree comprehensive protection for S9 Plus phone’s edge when dropped down accidentally; the back curve design can decrease stiff feeling and make phone appearance look more sleeker and more exquisite. Lining is made of micro fiber leather which anti-dirt, waterproof, anti-scratch, easy to clean. Remove extra functions and visual burden, strive to reduce weight and be simple, lightweight. 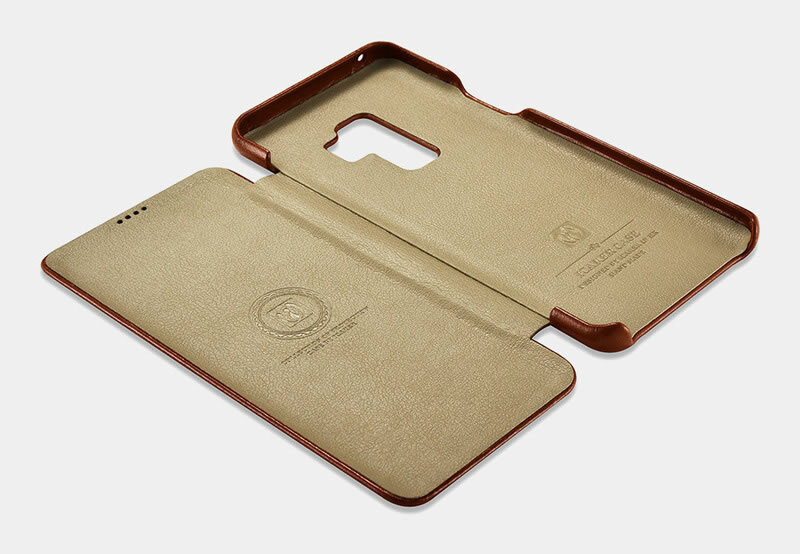 The case is made of the top-grade first layer cowhide leather. Using special process to make every leather have vintage style, look sleeker, exquisite. I really like this case. It fits the phone well, and the flip cover completely protects the glass. 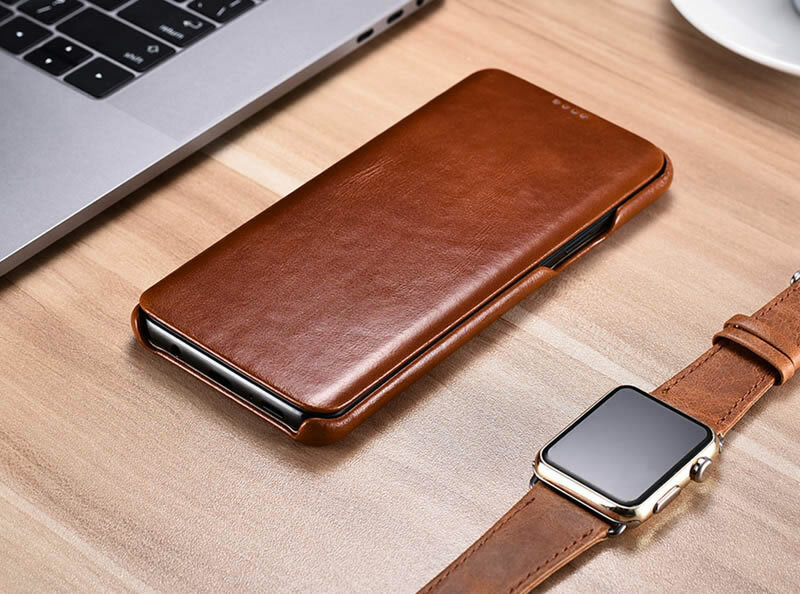 The leather helps it slide easily into and out of my front pocket, (which can be dangerous – there is the potential for it to fall out with bending or other movements). 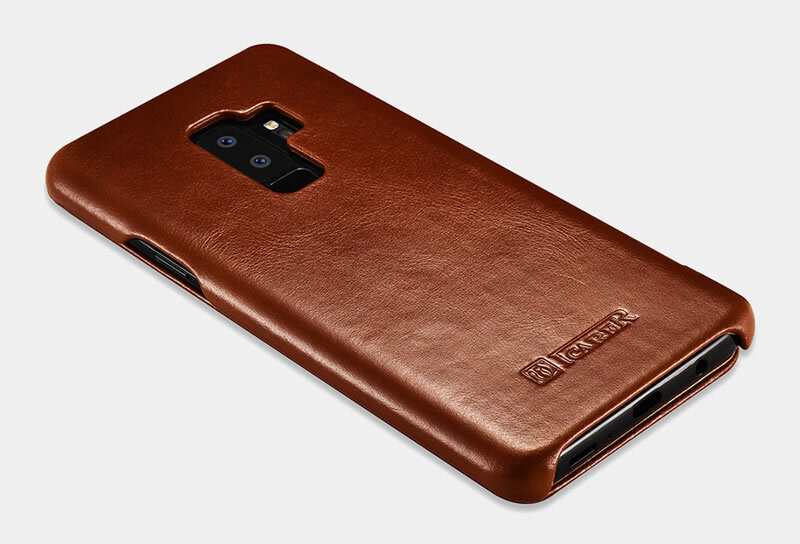 The profile of the phone remains slim unlike bulkier cases. 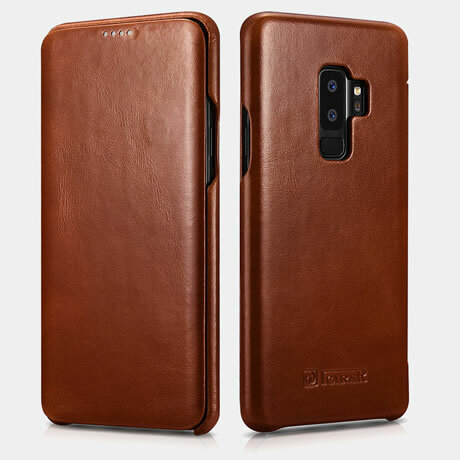 The cover is not transparent so you can’t see it when the case is closed, but if you want to see it when the phone is on a flat surface, just flip the cover behind. This one does not have the “kickstand” feature, which I would not use anyway. Have not dropped it yet so can’t vouch for how protective it is. For the price, this works very nicely.